Homeour workabout uscontact USCLICK AND CALL for an appointment! I'm very pleased with the sofa I had reupholstered by Curtis Upholstery. Everyone I met – from Tim, who came to my house to examine my sofa and discuss fabrics, to the receptionist, who was so polite and informative that if was like talking with a friend – is clearly committed to working as a team. 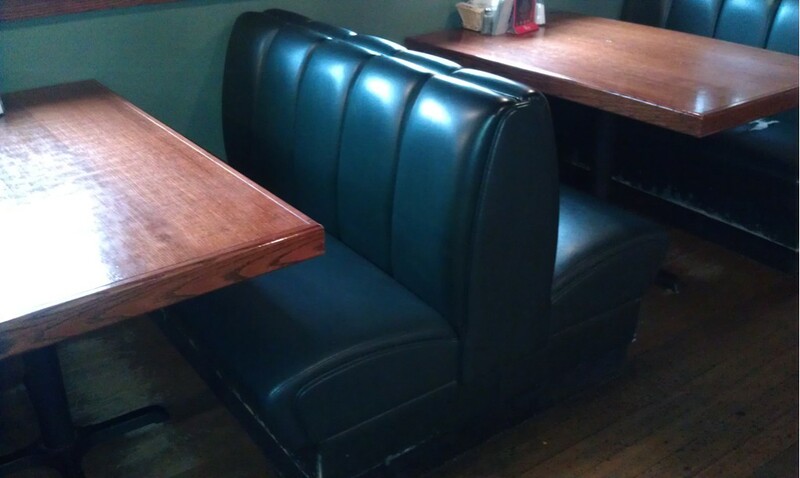 Thank you, Curtis Upholstery, for your dedication to excellence; it is truly visible in your workmanship!! Appointments are available as early as 5am. Give us a call to schedule your in-home estimate. Foams, Frames, Recliners, Hideabeds, Mechanisms, Caining, Rushing, Wicker, Tears and more. Bring us your designs and measurements and we'll help see your project thru! We maintain a large selection of fabrics. 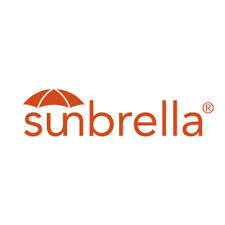 Robert Allen, Barrow, Kravet, Sunbrella, Fabricate, Charlotte and many more. 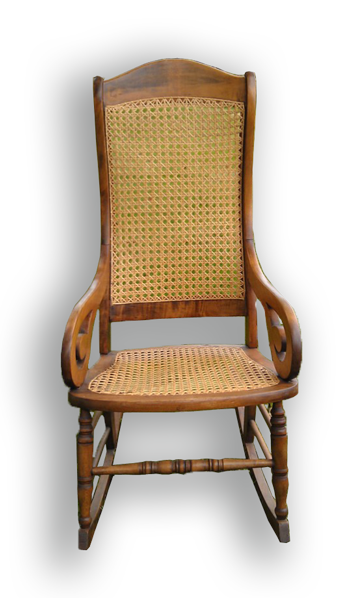 Let Us Help You Design A Brand New Look For Your Tired Old Furniture! We have a tremendous selection of fabrics that are great for rooms with a casual setting. If you are looking to go high-end with a custom sofa, reupholster a vintage piece or just want insight from our expert team, we have you covered. Inherited grandma's old rocker? Have all the springs sprung? Did the cat shred the fabric? Is the fabric old and outdated? Does it need refinishing? 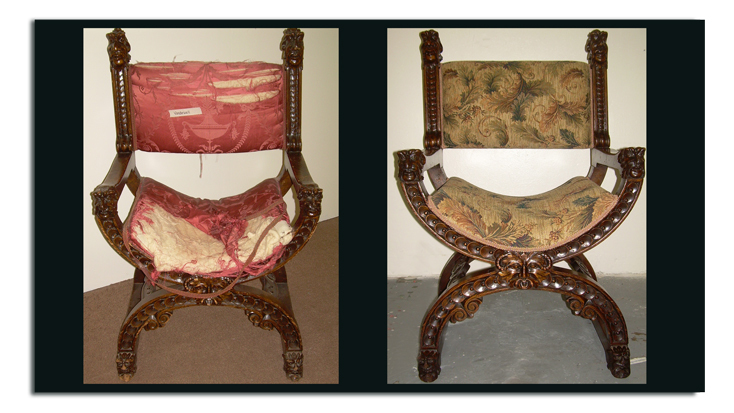 We can restore your sentimental treasure ! 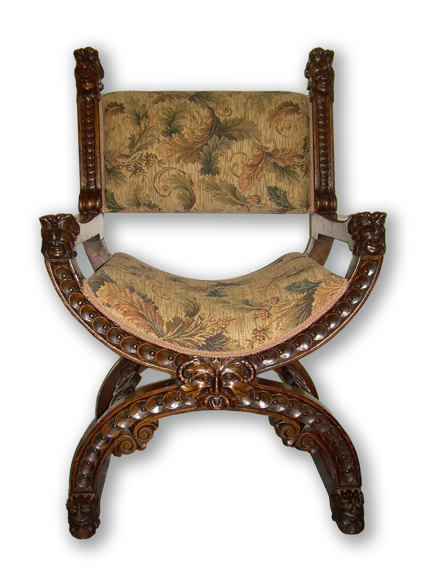 We can handle antique frames, spring & wood repairs, as well as refinishing! Don't throw out Grandmas old fur coat! 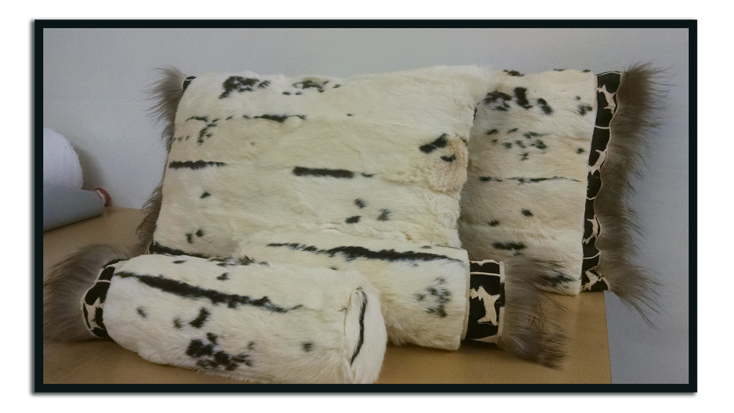 We made pillows out of ours. In a world of recycling - why not save that solid old frame and bring it back to life!! 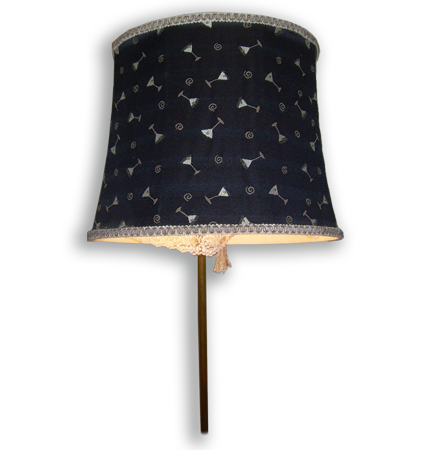 We can give your tired lamp a fresh, high-end look by covering the shade with trendy fabric. 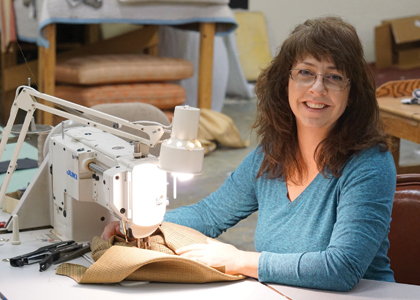 Laura has been with us for four years, and is our head seamstress, and cane/wicker and sewing specialist. 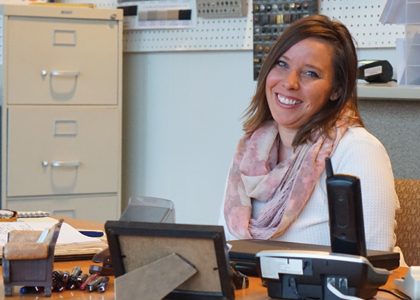 With 10 years of experience with Curtis Upholstery, Heidi serves as our fabric consultant and office manager. 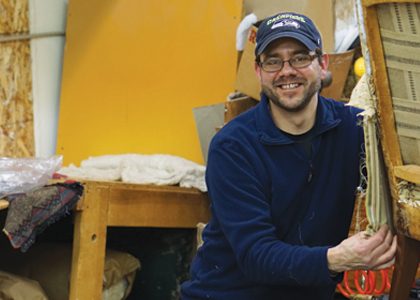 Jeff has been providing his expert craftsmanship with all types of furniture and materials to Curtis Upholstery customers for more than 12 years. For over 50 years, we've earned a reputation of excellence, honesty and integrity from customers throughout the Puget Sound area. With decades of combined experience in reupholstering, finishing and redesigning damaged furniture, our team is well-equipped to handle any project with skilled craftsmanship. 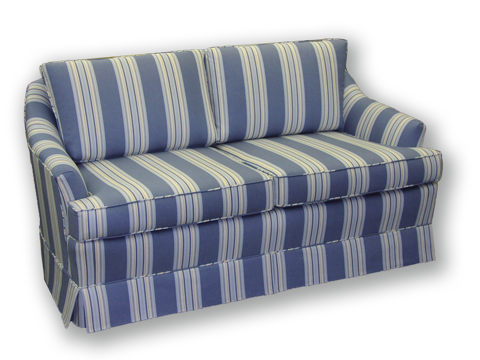 From recliners, sofas and antiques to car seats, boat and RV cushions, and dental and lobby chairs, if it needs upholstering, we've got you covered. 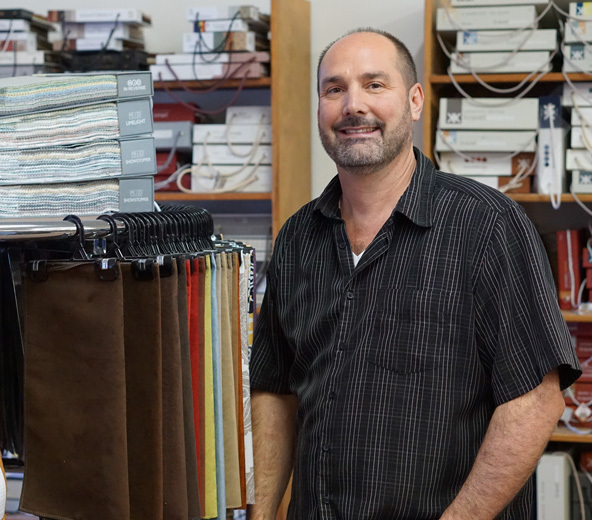 With thousands of fabric samples to choose from in our comprehensive showroom, we know we can help you find the perfect look for your project. Many of our customers have been with us since our doors opened. If you're looking for someone to provide expert care and treatment for your furniture, just ask your friends and neighbors – chances are we've worked with them. 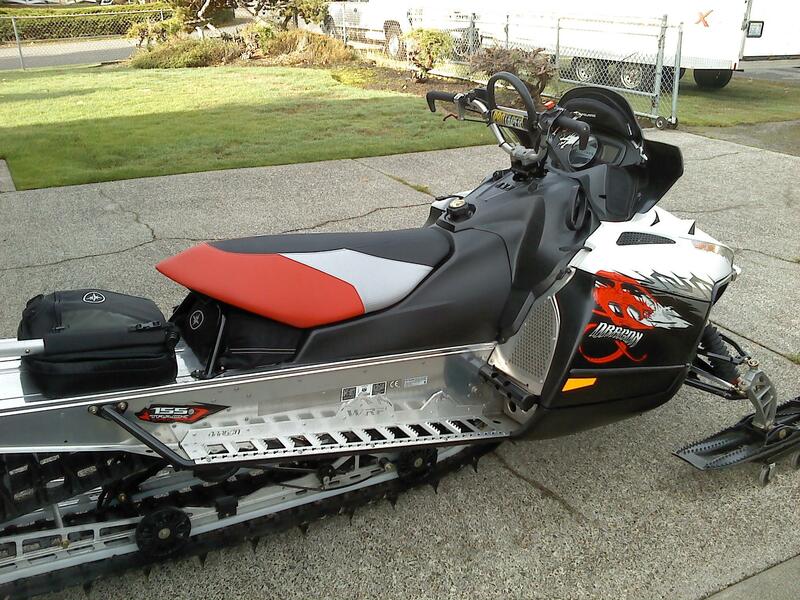 Take a look around our site, look at photos of our work, see our full list of services, and then call us at (253) 564-0233 so that we can begin brainstorming for your project. Like us on Facebook as we love sharing fun and interesting projects! Feel free to drop us a line with questions! Aliquam lobortis. Nunc nec neque. Nulla porta dolor. Praesent nec nisl a purus blandit viverra. Aenean viverra rhoncus pede. Integer tincidunt. Cras dapibus. Quisque malesuada placerat nisl. Vestibulum facilisis, purus nec pulvinar iaculis, ligula mi congue nunc, vitae euismod ligula urna in dolor. Fusce ac felis sit amet ligula pharetra condimentum.